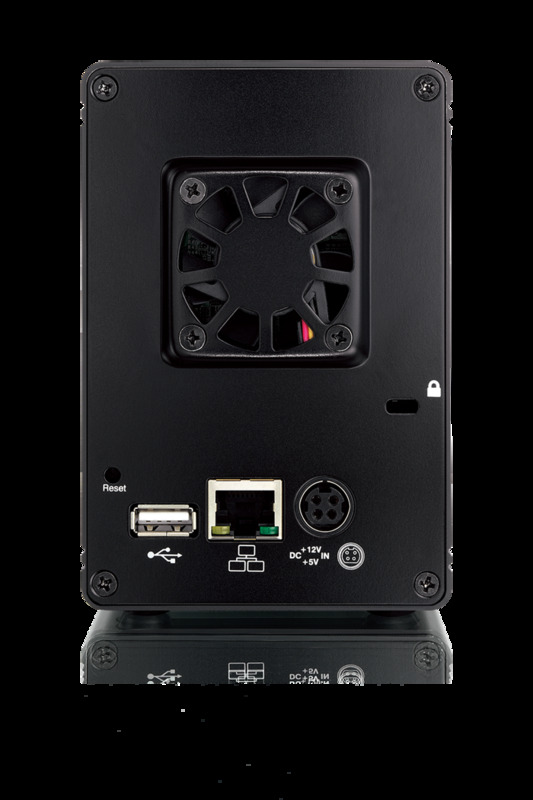 The ultra compact design of the NT2 makes this dual-bay network storage enclosure one of the smallest in the market, yet it still packs a punch when it comes to flexibility and performance. With its low power consumption and the built-in UPnP-AV media server, this is the ideal solution to house all your media files and at the same time make them available day and night to your UPnP clients throughout your home. The NT2 is designed to house two 3.5? SATA hard drives that you can setup according to your own preferences. For data security, select RAID 1 (mirror copy) and to make use of the largest possible storage capacity, select BIG (JBOD spanning). Data can be uploaded to the Gigabit network drive and shared from multiple workstations via SMB or FTP connection just like on any traditional NAS system. Two special features that set the NT2 LAN apart are that it has a USB printer server and a built-in UPnP-AV media server . These allow the device to share a printer among different computers, and make it possible to access and stream shared media files through a DLNA compliant player or a game console such as the Xbox 360 or the Playstation 3. Akitio's NT2 LAN offers remote web-based access for when you are on-the-road and a file browser with built-in media player to easily manage and view your files right in the web browser. Simply register your device, login through our web portal and you have immediate access to your files, no matter where you are.